Post-traumatic stress disorder (PTSD) can have a tremendous impact on the lives of those who are affected by the condition. So we have supported, and continue to support many serviceman and servicewomen with PTSD. 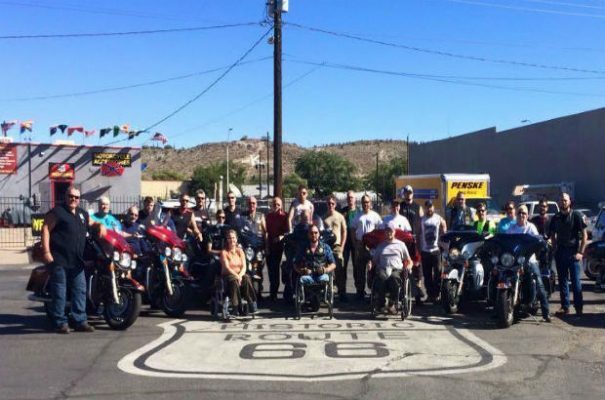 Each tour, we give 52 servicemen and women an opportunity to take part as a pillion on the back of a Harley Davidson motorbike down Route 66. This is a life changing experience for them and these adventures are not for everyone. They are also not jollies and are tough on the mind and body. The serviceman and women who accept a funded place are willing and wanting a life challenge. 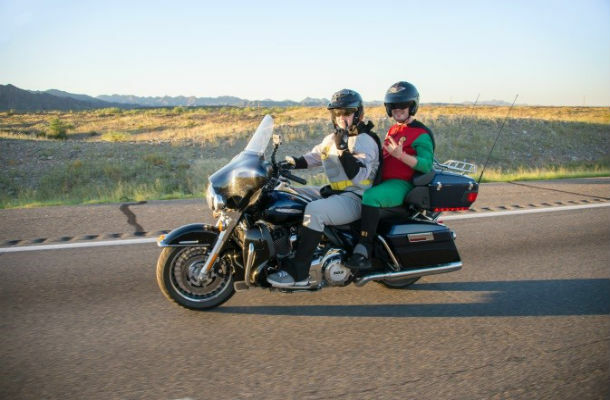 Why not make the trip extra special and share the experience with one of our wounded, sick or injured (WIS) pillions? Most of all they give each individual something to look forward to and focus on. 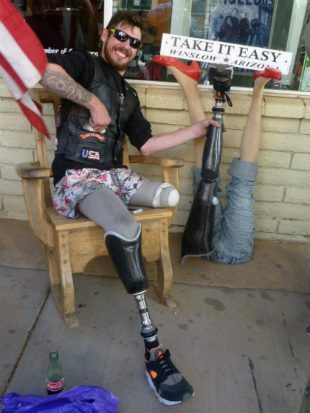 The difference we have seen in many of the servicemen and women we have supported has been remarkable and this drives our desire to continue what we do. When you wake up in the morning ..............you decide! We have taken over 200 personnel on tour and this has only been possible with the continued support from the public at our fundraising events. Each place is not cheap and costs £1,795. So if you're an experienced rider with a passion for this, please get in touch. We can continue making this a reality and life changing experience for WIS pillions.